The Pool Preserve in Union is a little three-acre gem on a wild section of the Georges River. 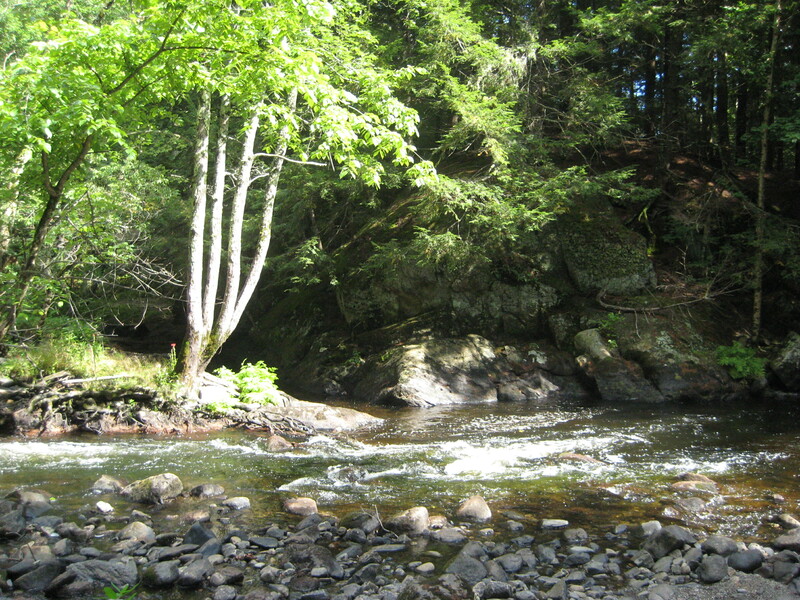 We acquired a section of the property in 2001, when Joe Sawyer and Larry Gleason, two local entrepreneurs, sold their property to the land trust at a bargain price after decided it would not fit their needs for a planned hydropower project. 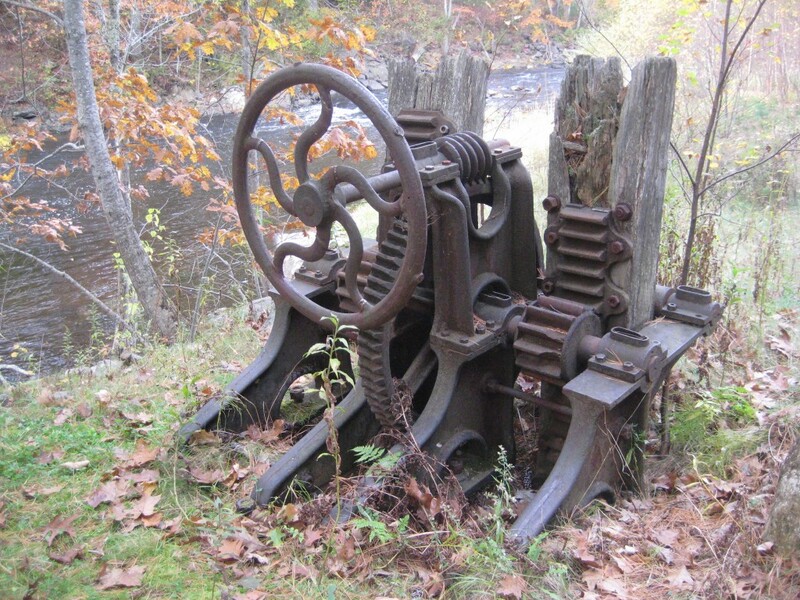 Prior to their use, Central Maine Power owned the property and remnants of their aged generating equipment are still visible. Remains of the historic Georges River Canal, dating back to the 1800’s, can also be seen from The Pool. We received the second section of the property from the Sennebec Lake Association in 2002 after the association removed a 100-year-old dam that they had been maintaining. 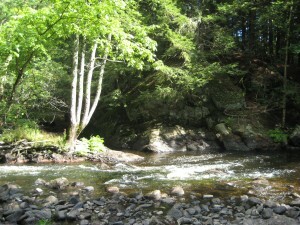 To replace the the old dam, a new rock-crib dam was constructed further up the river at the outlet of Sennebec Pond. Together, these two parcels create an interesting slice of history. 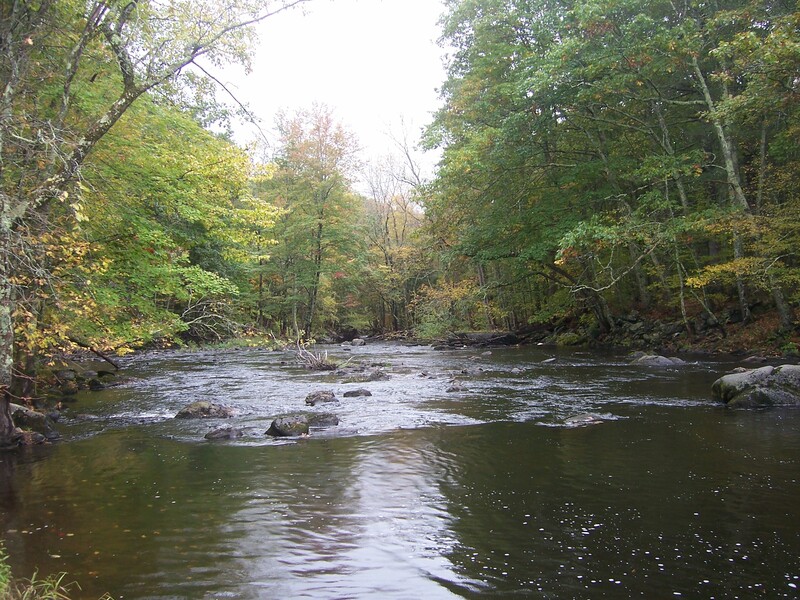 The Pool Preserve is open to the public for day use; no overnight camping is allowed. Hunting is permitted with written permission. From Route 17 in Union, travel one mile north on Sennebec Road to a dirt road on the left (see map). Drive down the dirt road to its end and park so as not to block the driveway into the small gravel pit. At times, the dirt road is chained, so please park on the shoulder there and walk down the dirt road to the property.